The top 10 most popular supermarkets and superstores in Warri are listed in this article below but the list is compiled based on the research and findings of naosusu.com. One of the first thing tourists and travelers search for are the top and most popular shopping centers in the city. 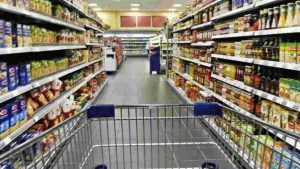 So this article focuses on the top 10 most popular Supermarkets and Superstores in Warri. Since the inception of superstores many years ago, Leventis, UTC and Kingsway super stores were the big brands in those early forming years. 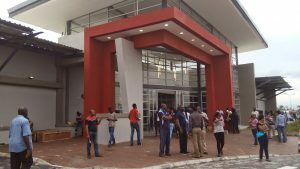 These super stores were designed primarily for a certain class of people – the rich and maybe the middle class citizens in Nigeria. 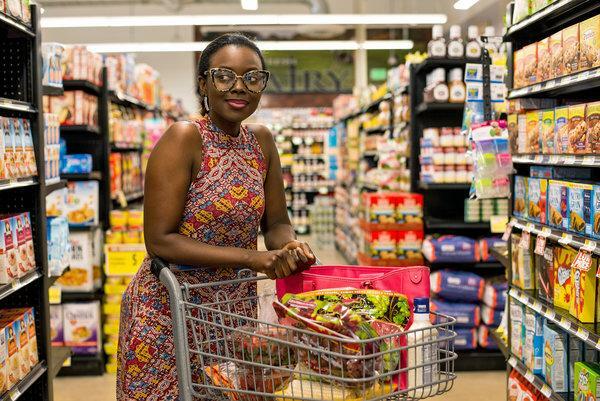 These superstores or supermarkets were only found in major states and cities across Nigeria. The trend has changed significantly in recent years because definitely you are likely to find more than one major brand name of different superstores unlike before when they were few or dominated by Kingsway, leventis and the UTC’s of those days. A city like Warri may not even boast of having more than one major supermarket or Superstore during the era of the leventis and Kingsway but right now Warri some of the biggest brands which are quite popular. In this article on the top 10 most popular Supermarkets and Superstores in Warri, the concentration are only on the most visited and most popular superstores from the research that we have made. But there are other great brands of supermarkets which are not mentioned in this publication. Warri city is arguably one of the most talked about cities in Nigeria because of the rich culture and lifestyle of the people and not just its oil alone. Entertainment is one of the major commodities that Warri export to the rest of Nigeria so it is quite important to mention other important attractions that are in Warri which will aide tourists, visitors and travelers to settle in quickly. So the list of the top 10 most popular Supermarkets and Superstores in Warri gives an insight for visitors to know where they can do their shopping. Shopping malls or centers are an important part of any city because these shopping centers speak volumes of the place or city. Shoprite tops the list of the ten most popular Supermarkets and Superstores in Warri for obvious reasons. Shoprite is located in the center of the city and it is one of the major shops found in Delta Mall. The prices are lower and you are assured of getting all you need in one stop shop. There are over 200 shops in Delta Mall with shoprite inclusive. Tivo Supermarket makes the list of the top 10 most popular Supermarkets in Warri because it has built a reputation for itself having been delivering top services for several years now. The supermarket is fully stock at all times and they have excellent customer care services. This is one of the newest addition of superstores in Warri which is one of the most visited in city. 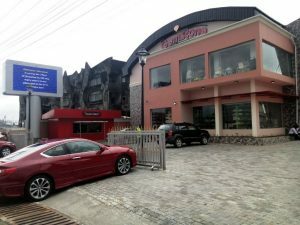 Gemstone Ultra Mart is arguably one of the biggest shopping malls in Warri which makes it one of the top 10 most popular supermarkets and superstores in Warri. This is your one stop shop because Gemstone shopping center covers both groceries and general merchandise. It is the home for pizza in Warri. This is one of the oldest superstores in Warri and they have been consistent in delivering only top quality services for the people of Warri for many years. 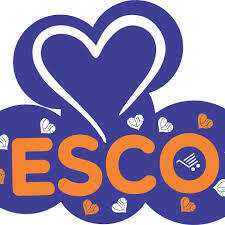 Esco superstores is in a class of its own because of its great customer relationship. So it makes the list of the top 10 most popular supermarkets and superstores in Warri. Along Airport Road, by Shehu Motors, Warri. Nelmic Limited Store and Boutique is one of the few places in Warri that you are assured of great prices. The shop is fully stocked just for you to get groceries and update your wardrobe. Just don’t take our word for it get there and see things for yourself. Dee Tee Super Stores is quite popular in DSC, Warri because of its size, location and exceptional customer relationship services. 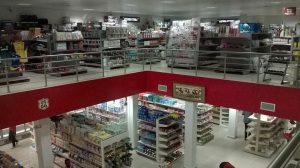 Dee Tee Super Stores offers services to the people living is DSC region in Warri and it is quite popular in that area which makes it one of the top 10 most popular Supermarkets and Superstores in Warri. Shop 122, PTI Road, Warri. 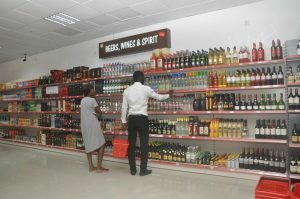 Kimberlyn Wine Shop could not be ignored in this list of the top 10 most popular Supermarkets or Superstores in Warri even though it is just a wine shop. The wine shop is quite popular and it is one of the most visited shops in Warri because of the exotic wines and other different types of wine they sell. Visit Kimberlyn Wine Shop today if you love wine. 50 Hospital Road, Ekpan, Warri. Eze G Supermarket is one of the biggest supermarkets that serves Jakpa road, Ekpan, and refinery road. The supermarket is fully stocked and very friendly system that will ease your shopping. Eze G Supermarket is very popular in that region which is the reason it is on our list of the top ten most popular supermarkets in Warri. 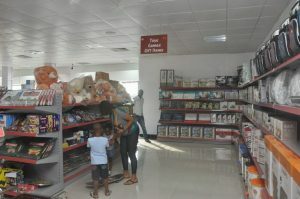 MultiBuy Supermarket is quite unique because of its location and the type of customer care services they render which makes it one of the top supermarkets in Warri. You are assured to get excellent customer care services when you go shop in the supermarket. Fredas Stop and Pick Supermalt is quite popular in the lips of Warri people because of its unique ice cream flavor. Just like any of the super stores mentioned above, Fredas Stop and Pick Supermalt stands unique because they also offer great services and you are rest assured to buy your groceries and do a complete home shopping at one stop. The presence of these superstores and supermarkets are one of the driving forces that shows urbanization and development of a place which in turn drive the economy. It is easy to understand why these superstores create a type of classy lifestyle in the cities where they are present because they come with social opportunities which keeps evolving. 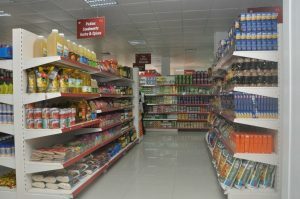 The top 10 most popular supermarkets and superstores in Warri all offer their unique services because of the quality and how stocked they are in ensuring customer’s satisfaction. 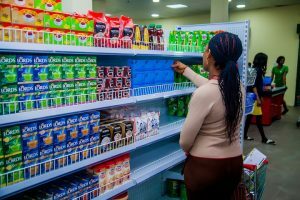 Remember that the list above on the top 10 most popular superstores and supermarkets in Warri are entirely the opinion of the writer because there are other great superstores which are not mentioned in this article.